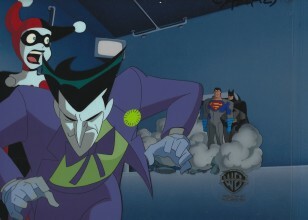 Harley Quinn is a flamboyant super-villain and a regular adversary of Batman usually recognized as the Joker's primary accomplice and henchgirl. Born Harleen Quinzel, she worked as a psychologist at Arkham Asylum where she was assigned to the Joker. 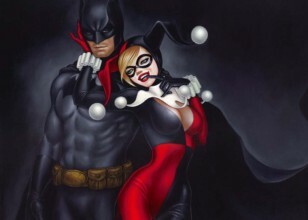 Inexplicably, she fell in love with the Joker and resolved to become his prime accomplice. Quinzel adopted a costumed persona, adapting her name off the word harlequin, to help the Joker escape and cause further mayhem. Their relationship is passionate with numerous on-off occasions. Harley is utterly devoted to the Joker, despite his occasionally harsh treatment of her. 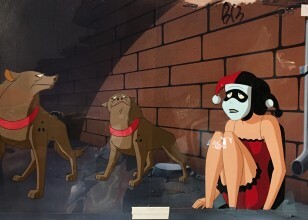 Despite her attachment to the Joker, Harley has had her own strong solo career. 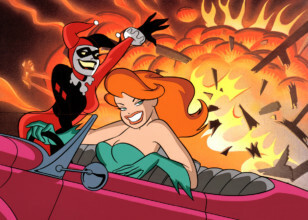 When not with the Joker, Harley will occasionally team up with other criminals, notably her best friend Poison Ivy, to cause trouble. 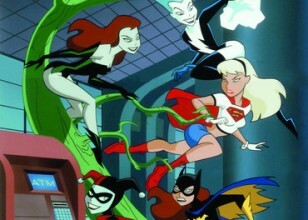 Harley Quinn was created by Paul Dini and Bruce Timm in the DC Animated Universe. 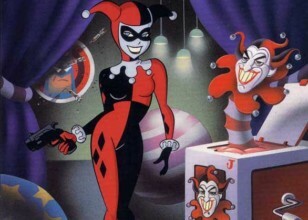 Her very first appearance was in The Batman Animated Series episode "Joker's Favor" in 1992. 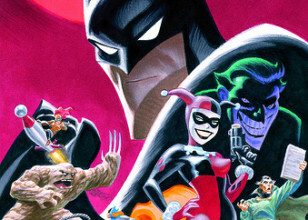 She has since become an incredibly popular character and has become established in the DC Universe, with her first appearance in regular continuity in the graphic novel, Batman: Harley Quinn in 1999. Harley Quinn (Dr. Harleen Frances Quinzel, M.D.) 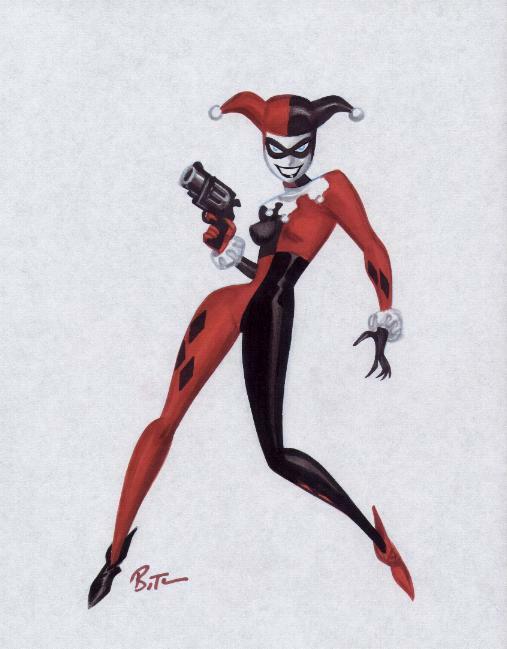 later appeared in DC Comics' Batman comic books, with her first comic book appearance in The Batman Adventures #12 (Sept. 1993). She is depicted as having a pronounced New York accent. The character is a frequent accomplice and girlfriend of the Joker, and a close friend of the supervillain Poison Ivy from whom she gained an immunity to poisons and toxins. Harley Quinn's origin story relates that she met the Joker while working as a psychiatrist at Arkham Asylum, where the Joker was a patient. Her name is a play on the name "Harlequin", a character which originated in the commedia dell'arte. 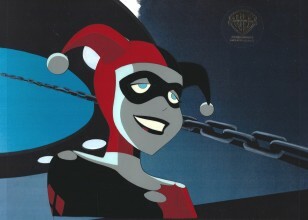 Harley Quinn was originally voiced by Arleen Sorkin in various tie-ins to the DC animated universe, and has also been voiced byHynden Walch and Tara Strong in either DC Animated Showcases or in various video games. In the Birds of Prey television series, she was portrayed by actress Mia Sara. The character will be making her live-action cinematic debut in the upcoming 2016 film Suicide Squad portrayed by Australian actress Margot Robbie.